Following the success of our European and Australian premieres of ‘Sisters for Sale’, we had big plans for the documentary in Asia. We’d hoped to organise the Asian premiere ourselves – in Vietnam, together with Alliance Anti-Trafic and Blue Dragon Children’s Foundation (the two fantastic anti-trafficking organisations that appear in the film), and the young Hmong women who made it possible. Unfortunately, there were several unforeseen complications. We realised that obtaining government permission to screen a foreign film – particularly one dealing with politically sensitive regions and subjects – would be much more difficult than anticipated. There was also an unexpected delay with the Vietnamese translation of the film itself – the almost-completed final revision of the script was lost in a computer failure, and the translation is now being revised again from the beginning. And so our plans have changed. ‘Sisters for Sale’ will premiere in Asia later this week – not in Vietnam, but Nepal. The 7th Nepal Human Rights International Film Festival will take place in Kathmandu from 4th to 7th April, showcasing 70 films – shorts and features, documentaries and narrative films – from around the globe. ‘Sisters for Sale’ will screen at the main venue in Kamal Pokhari this Friday. 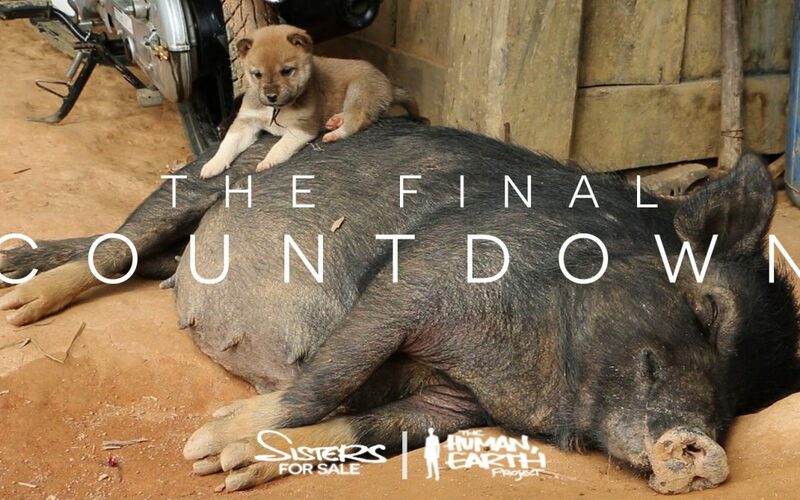 Nepal will be the third – and quite possibly the last – festival at which we screen ‘Sisters for Sale’. For an independent film, festivals offer exposure, credibility in the form of laurels and awards, and the possibility of further distribution. The festival circuit also demands a great deal of patience, and I’m not the world’s most patient person. Our supporters have already waited long enough, and I’m not interested to wait any longer for other people to dictate when and where the documentary can be seen. I didn’t make this film to win prizes, or collect cute little laurels for the poster. I didn’t make it to make money, or to further my career as a filmmaker. I made this film to raise awareness of a very real human trafficking crisis, and I believe the best way of doing that is to show it to as many people as possible, as soon as possible. It’s a highly unusual decision – especially as ‘Sisters for Sale’ hasn’t yet premiered in North America – but I believe it is the right one. We’re currently assembling the final translations and making our plans to launch the documentary online – firstly to those of you who have supported the film, and then to everyone else. While it’s too early to announce the date just yet, you can expect to see ‘Sisters for Sale’ within a matter of weeks. It’s an exciting time, and we’ll be sharing more news very shortly – stay tuned!